Fun Night this Friday. 5-7PM. Register now for the 2019 season of Bayswater Auskick’s Friday night under lights. 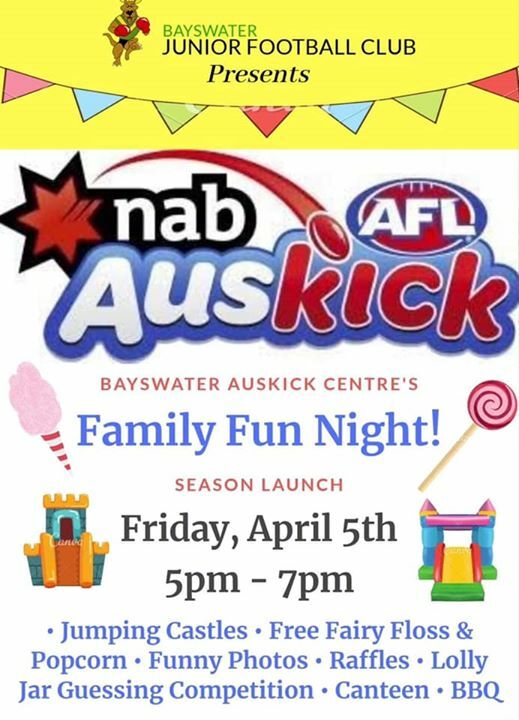 No Replies to "Bayswater Auskick kicks off another exciting season under lights! An awesome Family Fun Night..."